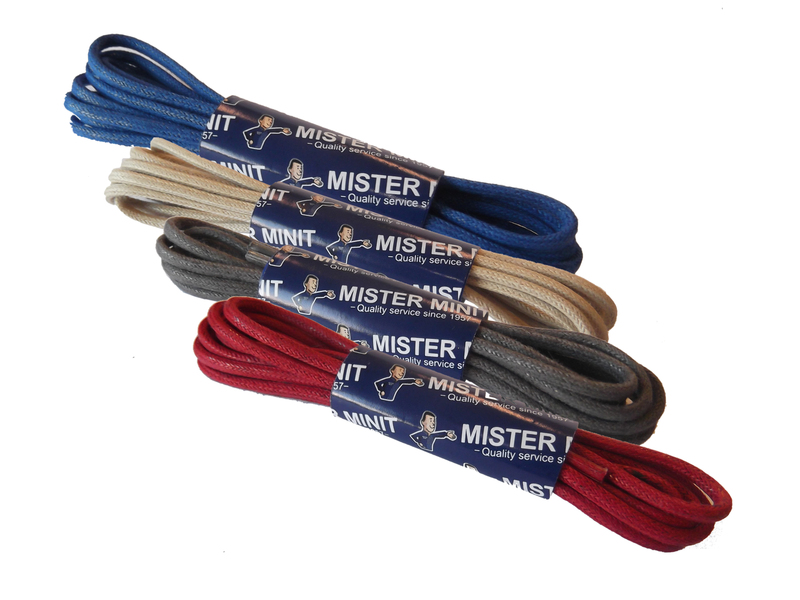 Whether you want to improve the comfort while wearing your favourite shoes or you need a pair of laces… MISTER MINIT offers a whole range of shoe accessories that help you in any way. Regular shoes, sport shoes, heels… for every type of shoe there’s a different type of insole. 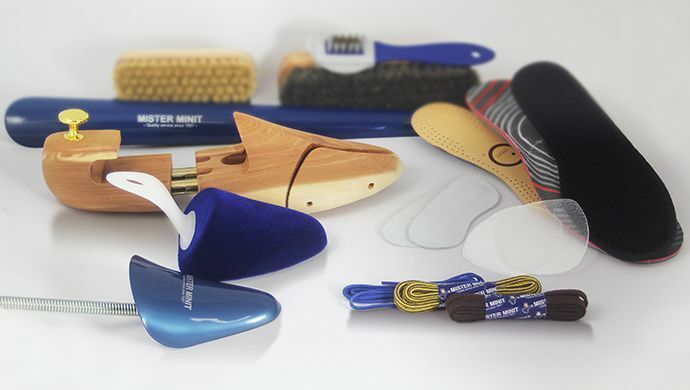 Our selection of insoles includes insoles of all kinds of materials including gel, woolen, cushioned and more. Especially insoles and foot beds in leather and cotton are the most popular ones. They support your feet, provide an ultimate wear comfort all day long and also absorb sweat and remove odour! Keeping your shoes in shape can be tricky especially if they’ve been wet or exposed to the sun. It is particularly difficult with the leather shoes, because the leather can even crack if the shoes are extremely dirty. That’s when shoe trees become useful. Place a shoe tree in your shoes when you’re not wearing them or when they’re drying after you have cleaned them or if they’ve been in the rain. By doing this you ensure that they stay in good shape. An additional advantage is that they can also help to make the shoes a bit wider if needed. MISTER MINIT offers plastic and wooden shoe trees. Or boot trees to maintain the beautiful shape of your boots. Get your shoe accessories now!